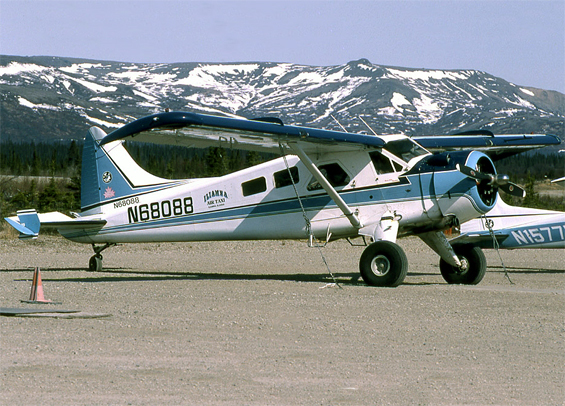 N68088 at Iliamna - PAIL, Alaska. N68088 looking good once again at Kenmore. N68088 with Ilamna Air Taxi. N68088 on an outing to Lake Creek. 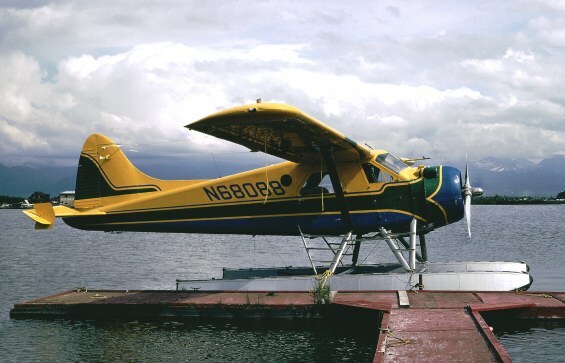 N68088 at Lake Hood, Anchorage. • 56-4447 US Army # 1777. L-20 No. 778. Command A-12. Delivered 21-Feb-1958. Built as L-20A and re-designated U-6A in 1962. • 56-4447 Poss. served with 156th Avn Co. (RR) as an RU-6A. 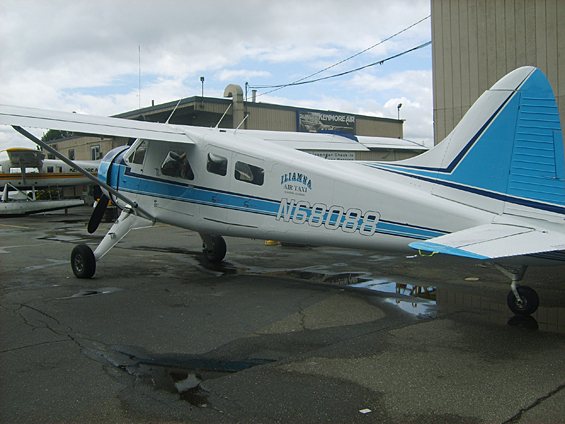 • N68088 Kenmore Air Harbor Inc., Kenmore, WA. Circa Mar-1976. Note: Purchased by Kenmore at the Davis Monthan auction sale on 29-Jan-1976 for $24,000US. Total time 4,754.7 ouhrs. Engine 6,285.7 hours. Sold as “providing no reasonable potential for normal certification”. 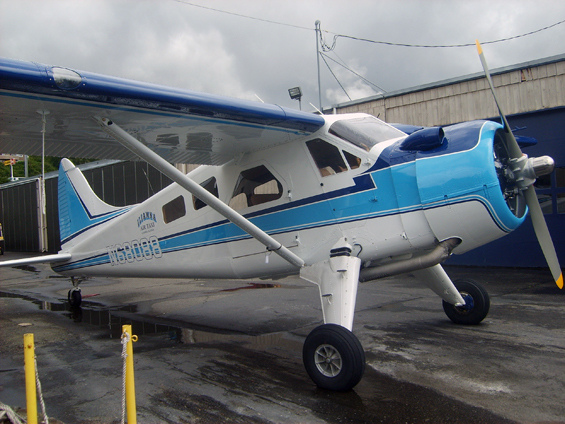 Comments at sale included: -in average condition, special gear and wing tip tanks. • HK-1009 Aero Taxi (Avianca–Aerovias Nacíonales de Colombia SA), Bogota, Colombia. Circa 1977. Accident: Medellin. Colombia. 30-Jun-1977. Crashed shortly after takeoff during initial climb. Eight persons on board all suffered fatal injuries. Written off and subsequently restored. • N68088 Richard S. Pauli Exec. Trustees, Port Alsworth, AK. On USCAR at 29-Sep-1979. Regd Jan-1980. • N68088 William R. Krager, Anchorage, AK. On USCAR at 02-Mar-1990. • N68088 Guy J. Turner, Cantwell, AK. Regd 08-Jun-1990. On USCAR at 29-Feb-1992. 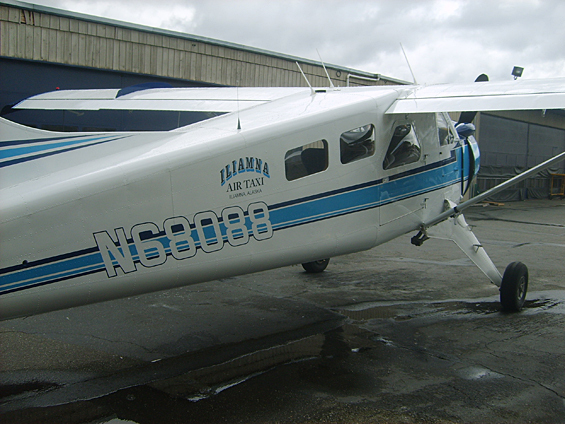 • N68088 Iliamna Air Taxi Inc, Iliamna, AK. Regd 18-Jul-1994. Accident: Iliamna, AK. 22-Jul-2009. 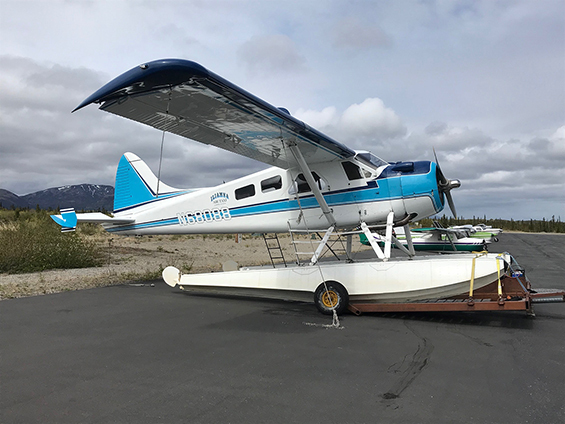 The pilot was departing from a river, downstream, in the float-equipped airplane, on a Title 14, CFR Part 135, on demand charter flight. He said that wind conditions were calm just before starting his southerly takeoff run. Just after takeoff, as the airplane climbed to about 20 feet above the water, it stopped climbing as it neared the departure end of the site. 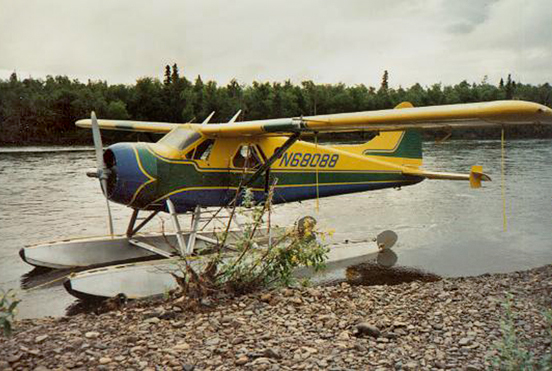 The airplane then descended into an area of tree-covered terrain, and came to rest about 400 feet from the bank of the river. The airplane sustained substantial damage to the wings, fuselage, and empennage. The pilot reported that there were no pre accident mechanical anomalies with the airplane, and said that after the accident, he noticed occasional gusts of wind from the northwest. The NTSB determines the probable cause(s) of this accident as the pilot's selection of an unsuitable landing/takeoff area with an unfavourable wind. ANC09CA050. • Rebuilt at Kenmore - completed by 07-Jun-2010. Alaska Door etc.